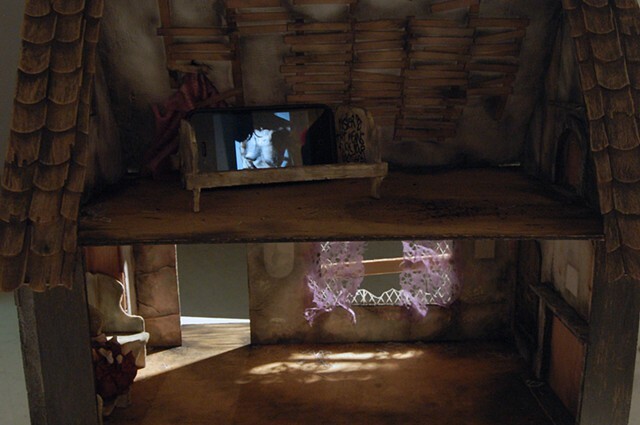 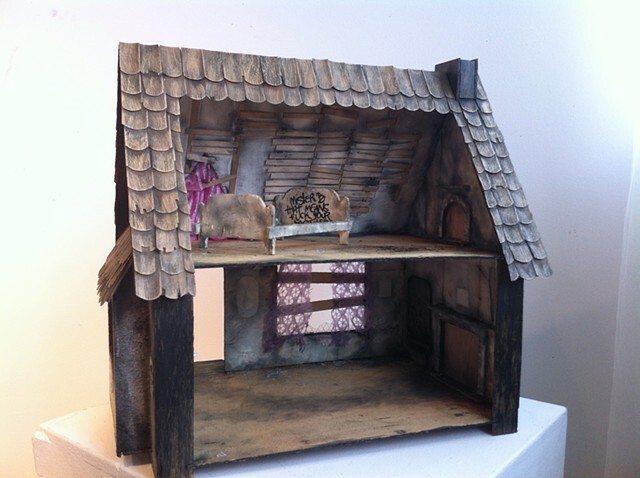 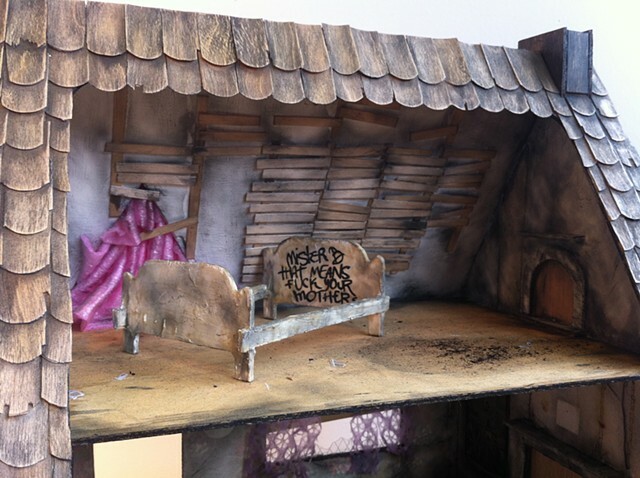 The SugarPlum Dollhouse Kit gone bad. 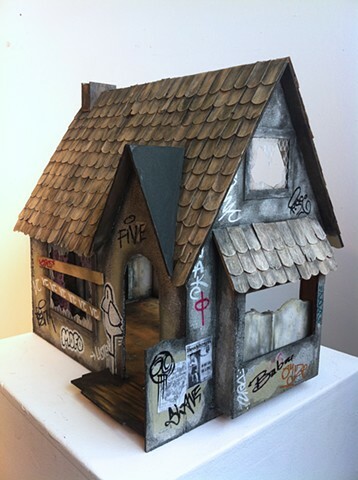 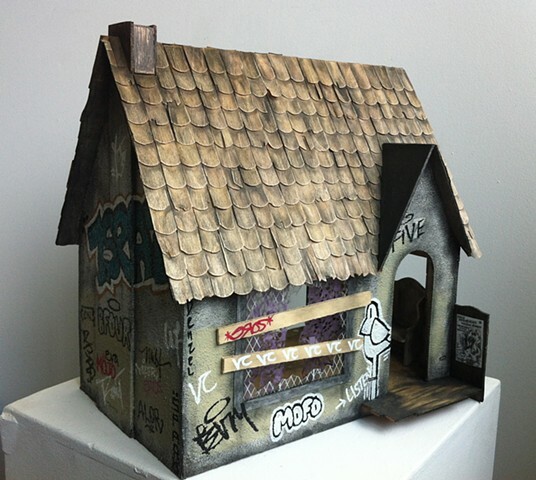 This derelict doll house pays homage to some of Montreal's (and beyond) most prolific street artists, whose tags can be seen everywhere from St Henri to downtown Montreal to the expanse of the canal, as well as in other cities. 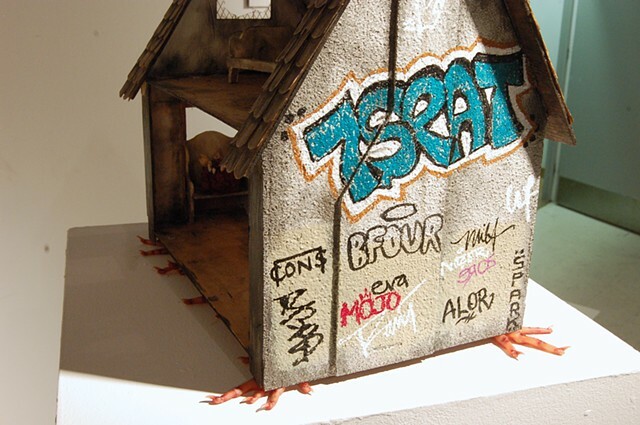 Appropriated/ imitated tags include: Listen (the Listen bird), VC, 7Seat, BFour (haloed), Five (haloed), Sake, Rise, Mister B, Cons, Eros, and more plus some invented ones.